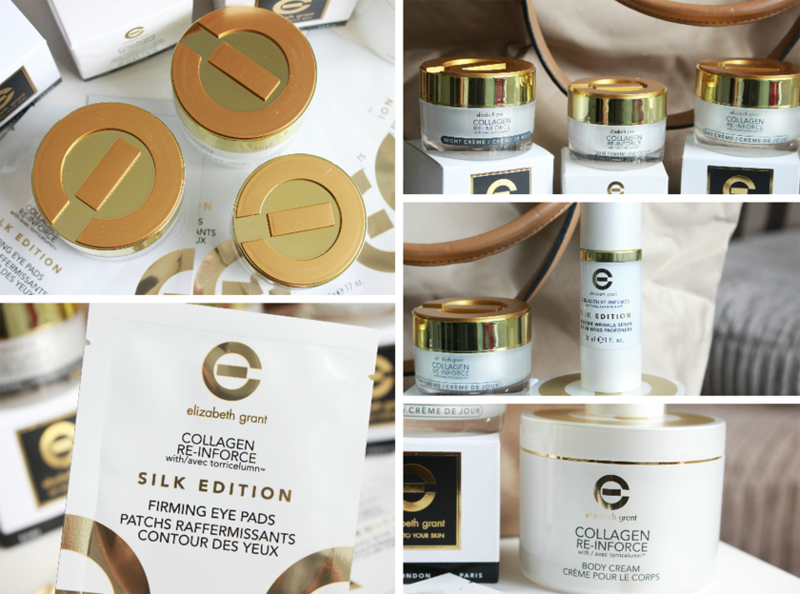 If you have a soft spot for luxurious skincare in stunning packaging, you will love the anti-ageing Elizabeth Grant 7 Piece Collagen Collection*. Ideal World TV are currently having a 'Bank Holiday Bonanza' and the offers are hard to resist. This beautiful set is worth £183.94, but you can buy it for only £39.99(free p&p). Is it worth it? I think so! Hydrating, light weight day cream to keep the skin looking and feeling smooth and supple. It helps to refine facial contours by enhancing elasticity and gently leaving the skin feeling lifted. 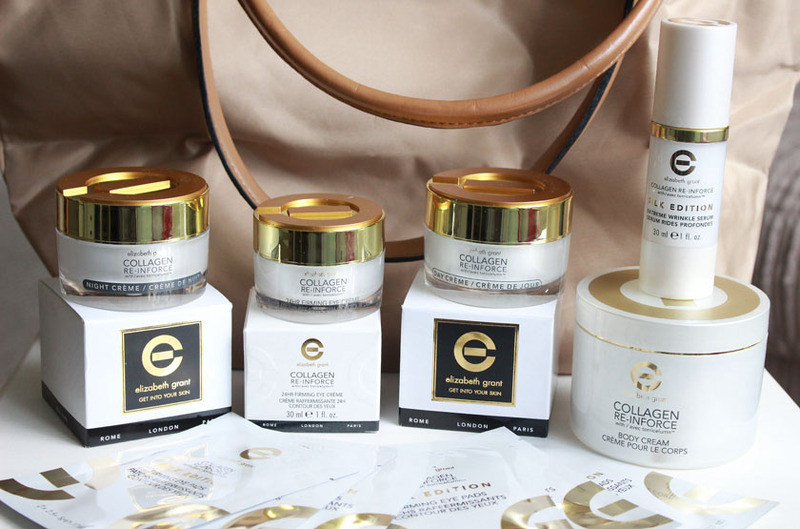 Formulated to help restore the appearance of firmness and resilience to skin and reduce the visible signs of skin ageing. 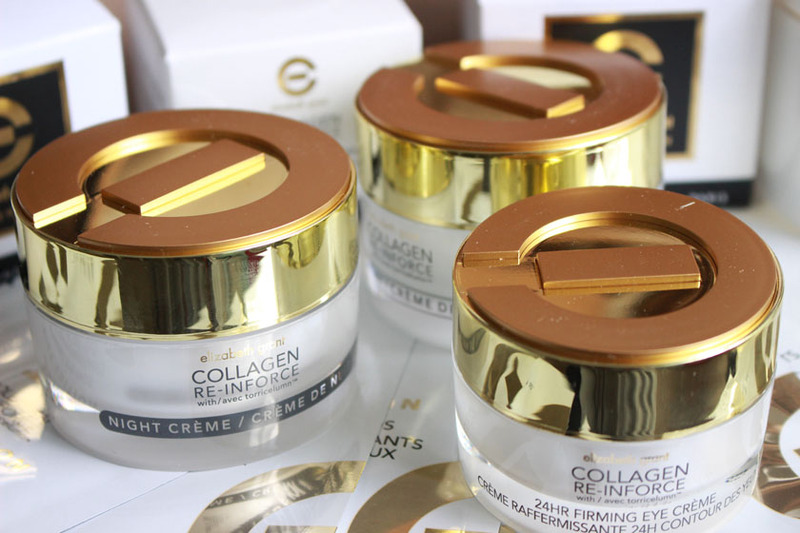 Ultra light support treatment for the eye area to tighten,smooth out fine lines and hydrate. A luxurious, triple action lifting cream for the body which plumps, firms, and smoothes. Helps target fine lines and wrinkles by visibly smoothing, plumping, filling, strengthening and lifting the skin. Classic large tote bag that reminds me of Longchamp designs. 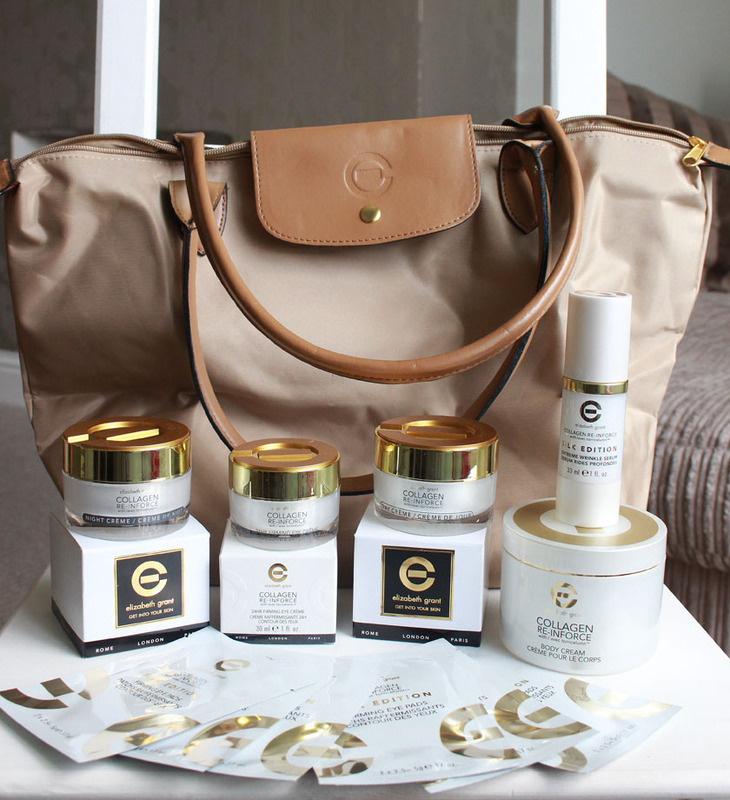 You can get your hands on this fab set for only £39.99 HERE.